Facebook is continuing to invest in making Instant Games a better experience for developers and users, says the company's head of gaming partnerships EMEA Bob Slinn. Speaking at Pocket Gamer Connects Helsinki 2018, Slinn said one area the company is working on is discoverability. While not as crowded as other marketplaces on PC and mobile, Facebook is keen to make the most if its social network and popular chat app. The firm is using machine learning technology to help surface games that both have good performance on the platform and are relevant to the user. Outside of just Messenger, Slinn said the team is looking at viral discovery. Having previously focused on Messenger discussions, Facebook is now thinking about the various different ways users interact with the social network. One example is that of Facebook Stories, with plans afoot to integrate Instant Games into this, given it has quickly become a “huge area of growth” for content and interaction on the social network. Facebook also continues to look at areas such as monetisation and the tools it makes available for developers. Slinn said more games are starting to use in-app purchases more effectively, rather than just harnessing ads for revenue generation. 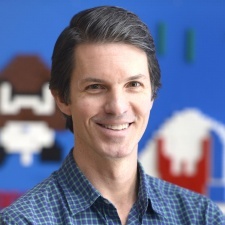 Instant Games recently dropped its 30 per cent cut on Android to zero, having previously taken that share on top of Google’s 30 per cent - leaving developers with a minority share of revenue. We caught up with Slinn at Gamescom last month, who spoke more about the topic of Instant Games. Moving forward, Slinn said Facebook will continue to improve Instant Games and build more APIs for developers. Developing Facebook Instant Games is a mugs game. If you are not a Facebook partner then your game will be fed very few users by the AI. The users will be mainly none English speaking low value users, Vietnam seems to be a favourite for the AI. I have 7 games on there, spent around £25k creating them and they earn less than $1 per day between them.